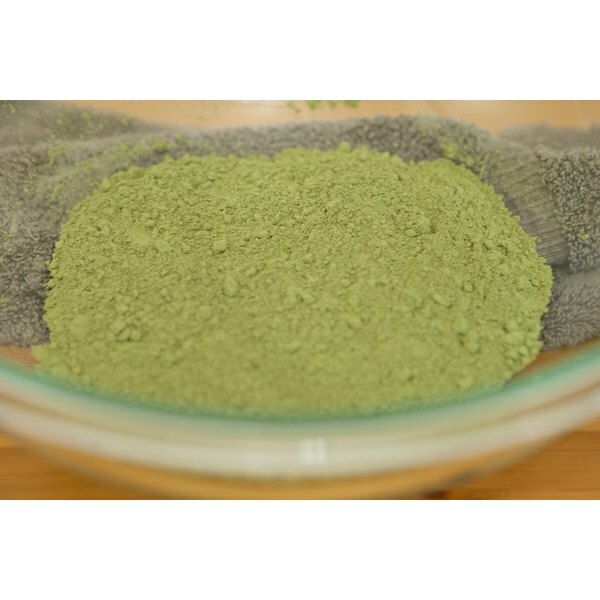 Henna is a natural hair dye that is safe and without chemicals. A good-quality henna dye will leave hair vibrant, soft, shiny and most importantly, healthy-looking, even grey hair. Use body art grade henna, as this is the most pure and will work best on gray hair. 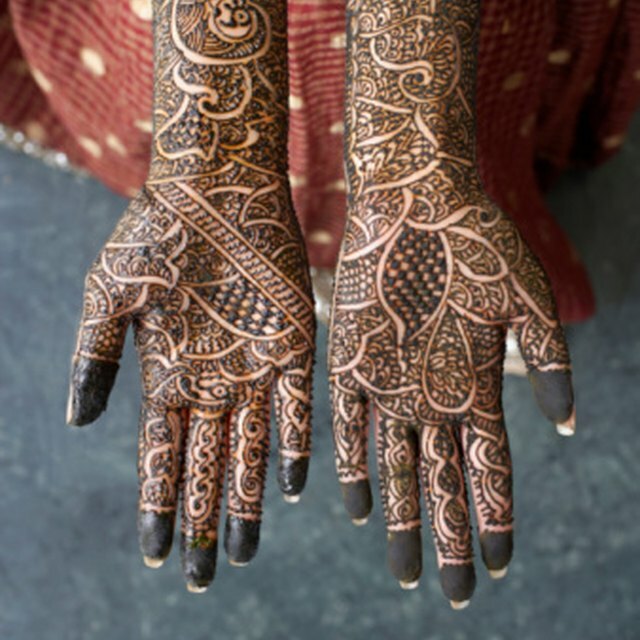 Do not use henna mixed with ammonia or alcohol, which most store-bought boxes contain. Mix 100 to 500 g of body art quality henna (depending on your hair length) and the juice from 3 or 4 lemons in a large glass bowl. The lemon juice helps grey hair hold onto the color better. Add spring water, blending it in until a yogurt-like paste forms. Cover the glass bowl with its cover and wrap the dark towel around it. Let it sit for about 12 hours, or overnight; this releases the dye for the best long-lasting results. Wash and condition your hair, then towel it dry and comb it to de-tangle it. Put on an old T-shirt to prevent staining your clothes. Apply lotion to your forehead, the tops of your ears and at the hairline all around the head and nape. Put on the rubber gloves and use a spoon to fill a plastic sandwich bag with some of the henna mixture. Snip one of the corners with a pair of scissors. Start applying the henna paste through the hole in the corner of the plastic bag; this helps avoid a mess. Lather the mixture into your hair by sections. Coat your hair thickly with the mixture, leaving no dry spots anywhere. Gather the hair together and wrap your head with plastic wrap to keep the henna dye warm. Wipe off any henna that may be left on your skin, and put on a thick headband to hold the wrap securely. Wrap the dark towel around the plastic wrap. Let the henna remain on your head for 4 to 5 hours. It can be left overnight, since grey hair takes longer to absorb color, because it tends to be coarser. Rinse the henna dye out of your hair with water and apply conditioner. Dry and style as usual. Before dyeing your hair, do a test by applying the henna to a small section of your hair on the underside. It may take a couple of days before the hair settles into its hue. The color may be a bit bright at first. Keep henna away from fabrics and clothes, as it can leave stains.